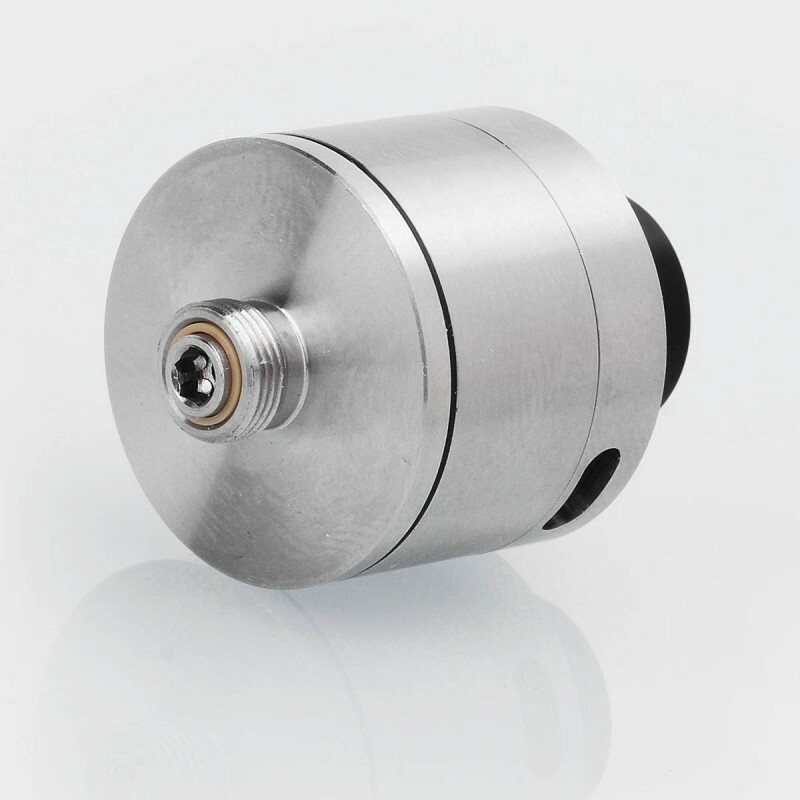 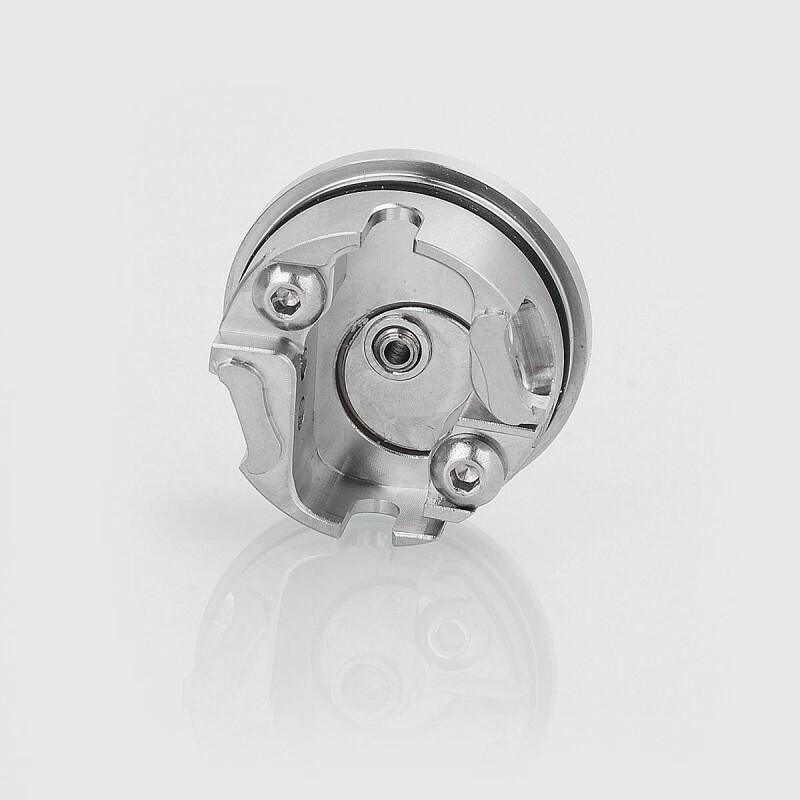 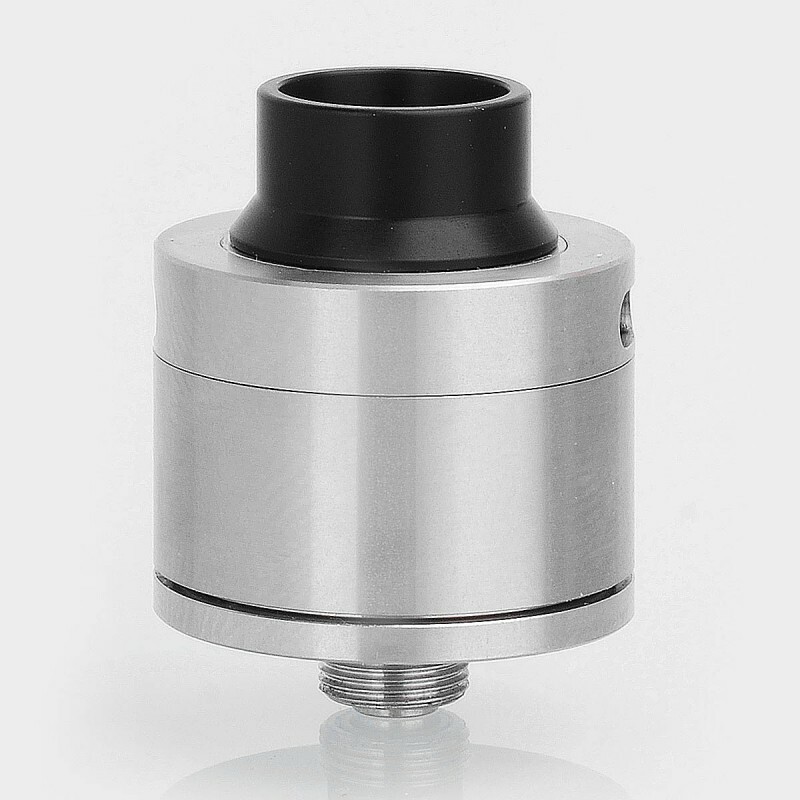 The YFTK Sentinel Style RDA is constructed from 316 stainless steel in 22mm diameter. 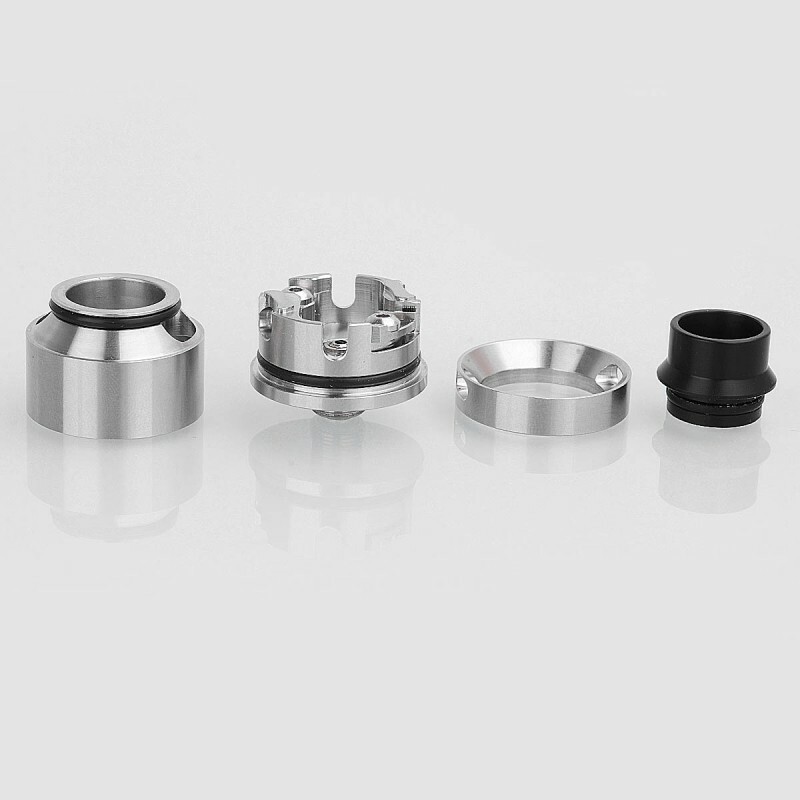 The deck features dual post design for single coil build. 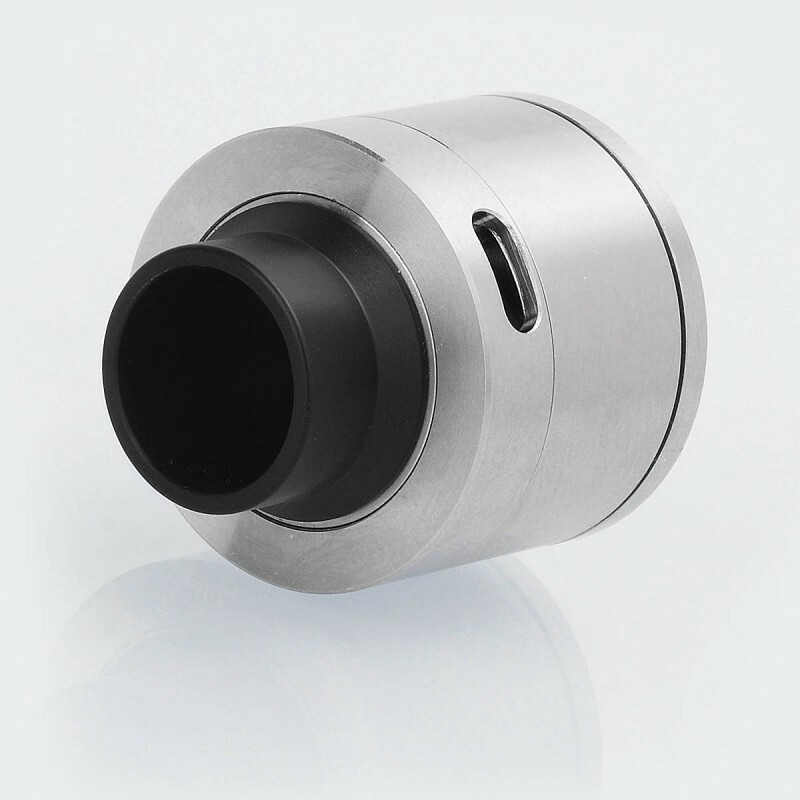 The airflow can be adjusted with the top airflow ring and angled airslots. A heat resistant POM drip tip is included for the RDA. 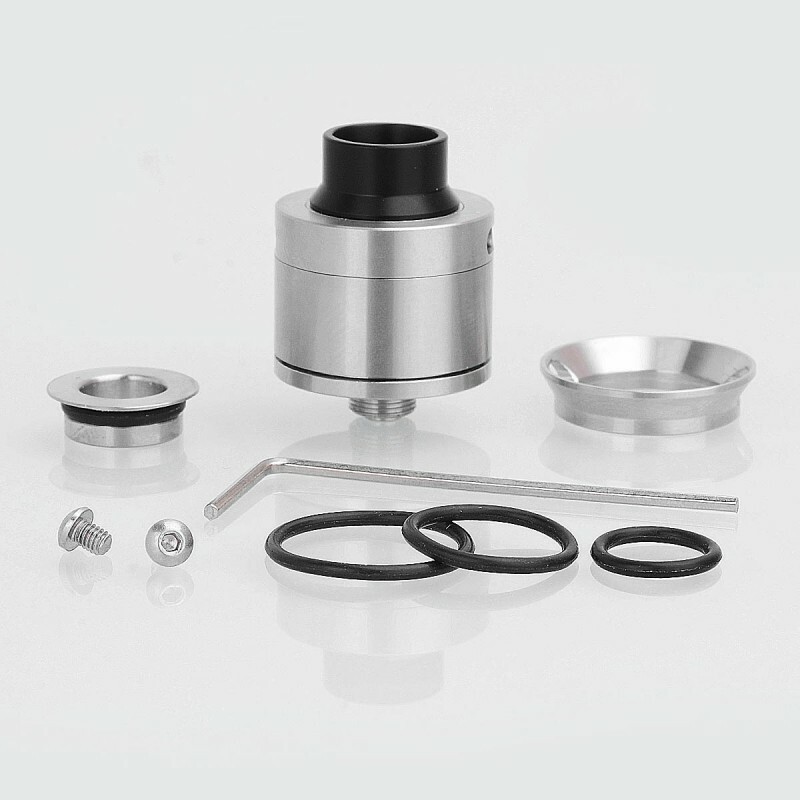 The RDA comes with bottom feeder pin for squonking.